This week the PGA Tour arrives at Torrey Pines GC, San Diego for what will no doubt be another enthralling edition of the Farmers Insurance Open. In a star-studded field, the two favourites are the current World No.1 and a rising star who may hold that honour in the near future says Sascha Paruk from Sports Betting Dime. Top-ranked Justin Rose (+1400) had four straight top-five finishes on tour before a sub-par performance at the Desert Classic (34th); and has also finished T8 and T4 at Torrey Pines the last two years, a course where past results often mirror future performance. But Rose and the rest of the field are significantly behind 2017 champion, Jon Rahm (+1000). The surging 24-year-old has three straight top-10s and hasn’t shot a round over par since October, so will be expecting another big week here. Other quality names litter this field, with 8-time course winner, Tiger Woods, joining defending champion, Jason Day, Marc Leishman, Rory McIlroy, Tony Finau and Tournament of Champions winner, Xander Schauffele. Torrey Pines South has been the same design since Rees Jones put his stamp on it back in 2001, however the North course was re-designed after the 2016 renewal by Tom Weiskopf. In light of the North re-design it is important to see how the players fared in the 2017 and 2018 renewals compared to years gone by. The previous 18-hole record at the North Course was 61, with Brandt Snedeker (2007) and Mark Brooks (1990) both achieving this impressive score. In 2017, the lowest score shot at the newly re-designed North Course was 65 by England’s, Justin Rose. Jason Day went one lower in 2018, shooting a second-round 64 at the renovated North Course, and it would be no surprise if this was beaten once again this year, now that the players are used to the new layout. It is difficult to hit fairways here, and the field often only averages a touch over 50%, so it is tough to be super accurate here, no matter how good you are off the tee. Hitting plenty of greens will of course help but the average Greens in Regulation ranking of the last six winners is almost 17th, with Jason Day the sole winner to rank inside the top-10 (8th in 2015) the week they won. Woods ranking 34th in 2013 and Scott Stallings 22nd a year after, brings this average up significantly, as the last four have all ranked 14th or higher. Overall Ball-striking is key though, so a combination of good Greens in Regulation and Total Driving, sprinkled with some good Scrambling numbers this week will prevail, in what is a classic all-round test of golf. Those longer hitters will have a lot better chance of hitting the greens from the thick rough here and that may well be a significant difference this week. Looking at the recent winners list, it is littered with those that can get it out there off the tee, and this is why. Some shorter hitters have been successful here (Brandt Snedeker the best example) but the rest of their games had to be razor sharp and in Snedeker’s case in 2016, the weather wreaked havoc and played the biggest part in the end. The last eight consecutive winners here have started their week at the South Course, so read into that what you will. Playing the South Course for three days in a row may take its toll mentally on a player, so a one-round break in-between to play the easier North Course may just give the winners an edge. The last winner to open up their week at the North Course was Ben Crane in 2010. There has also only been one player to convert a 54-hole lead in the past 13 years and yes you guessed it, it was Woods back in 2008 who put his foot down in the final round, to secure an eight-shot victory. Tony Finau simply has to win soon, and this looks as good as spot as most for him to do so. In four starts at this course, Finau has never missed the cut and has also finished inside the top-24 on each occasion. 4th and 6th place finishes in 2017 and 2018 respectively suggests Finau is ready to get over the line at this hallowed turf. No stage is too big for Finau, who finished inside the top-10 in three of four majors last season, including when 10th on his Masters debut. His week may have been even better at Augusta had he not dislocated his ankle during the Par 3 contest, but despite these efforts he is still winless since his first victory at the Puerto Rico Open in 2016. Finau finished runner-up on three occasions in the 2017/18 season, and has started the new season in similar fashion, finishing 2nd at both the WGC-HSBC Champions and the Hero World Challenge last time out. That 2nd in the WGC was crueller than most, as he lost out to Schauffele in a play-off and he’ll be keener than ever to gain victory, sooner rather than later. A winter break for Finau will have allowed him to bed in the changes he was making at the Hero World Challenge, and also gather himself as he prepares for another big year on Tour. 22/1 may not look big, considering to this point he’s struggled to get over the line, but this is a player that will win countless amount of times and 2019 could easily be his breakout year. Alex Noren went on an incredible run of form in 2016, winning four times, and followed that up with a win at the European Tour’s flagship event, the BMW PGA Championship in 2017. 2018 saw Noren win again, this time at the Open de France, and he came mighty close to winning his first PGA Tour event earlier in the year as well. 12 months ago it took six play-off holes to separate Day and Noren at this very event. The Swede hits more than his fair share of greens and is solid enough off the tee to prosper here. Add in his strong wedge game and this looks a perfect place for Noren to succeed. Noren’s recent form, which has seen him finish in the top-25 in each of his last five events, including 8th at the Hero World Challenge last time out, and 9th the week before in Dubai, proves to me he is more than ready to go well again here. At 40/1, with 8 places on offer (there is some 45/1 if 5 places is enough for you), Noren looks a very fair price, given his recent form, and performance here last year. Sitting just outside the top-20 (21st), Noren will be hoping for another big week, as he looks to slot into the top-10 once again. Since 2010, there has simply been no one better than Brandt Snedeker at Torrey Pines. Jason Day matches his number of wins in that time (2), but in addition to his wins, Snedeker also has two more 2nd place finishes and a further two top-9’s. 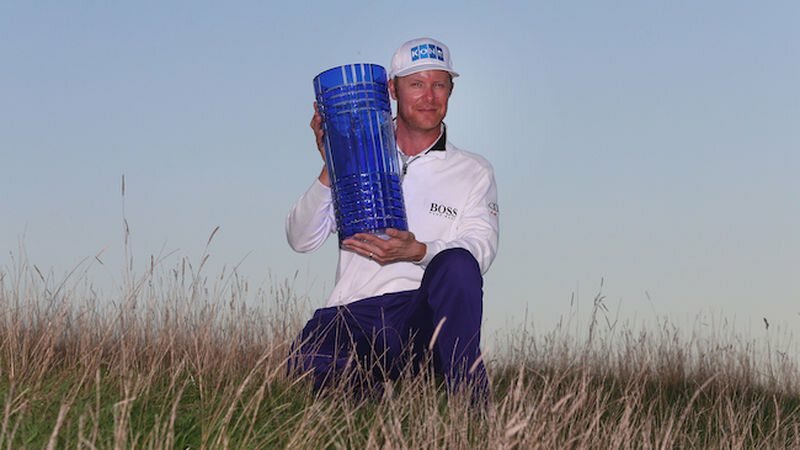 Given the strength of his record here, his win at the Wyndham at the tail-end of last season, and his close run effort at the Safeway (lost to Kevin Tway in a play-off) to start this one, Snedeker makes all the sense in the world this week. Snedeker, who bravely flies the flag for the shorter hitters here, was poor at Kapalua three weeks ago, but at the Sony Open a week later, he put in a good performance. An opening 66 was bettered by his third round 65 and he broke 70 all week long, in what was a great tune up for this week. After the disappointment of losing at the Safeway, Snedeker looked to be in a bit of a rut, but his showing at the Sony was enough to convince me that he is in for another big week here. 50/1 about a player who has won here twice, and finished 2nd two more times, all in the space of his last 9 starts here, was simply too big for me to ignore. Ironically next up for me, is one of the two players that finished runner-up to Snedeker at the 2018 Wyndham Championship. This was Pan’s second T2 finish of his PGA Tour career, with his first coming here at Torrey Pines two years ago. That effort when finishing three shots adrift Jon Rahm in 2017 is Pan’s best result to date, in terms of world rankings points, with his next two (T4 2018 BMW Championship, T2 2018 Wyndham Championship) both occurring within his last 10 starts. Clearly Pan is trending in the right direction, and were it not for a final-round 79 here twelve months ago, we may have already been talking about him as a PGA Tour winner. He fell 30 places into T35 on Sunday last year, where a round of 70 (a score he had shot or bettered in each of his first three rounds) would have been enough to make it into a play-off. Pan could only finish T51 last time out, but impressive performances at the WGC HSBC Champions (T22) and the Mayakoba Golf Classic before the New Year, are recent enough to give optimism. A supreme talent, and obviously a fan of this course, Pan may make his PGA Tour breakthrough this week, at a cool 80/1. Richy Werenski has made a fine start to his new PGA Tour season, finishing T3 at the Mayakoba, as well as posting top-23 finishes at both the RSM Classic (T15) and the Shriners. It’s been a season of ifs and buts so far for Werenski, who has been in and around the top-20 in all but two events. A first missed cut of the season last week, at the Desert Classic may be enough to put you off, but I expect him to make the weekend again this week, as he did here on debut two years ago. Werenski finished T20 here in 2017, thanks to a final-round 66 which was bettered by only one man, eventual winner, Jon Rahm. He just missed the cut on the number here last year, but was in much poorer form, missing three of his first seven cuts of the season, and finishing no better than T29 in that span. Werenski was coming in off the back of a T9 finish at the CareerBuilder, when T20 here two years ago, but he’s shown plenty of form early on in this current season to suggest he’s got enough to post at least a top-8 finish this week. At 175/1, I’ll roll the dice on the man who finished T3 in Mexico, before shooting a bogey-free 63 in the third round of the RSM. Six top-10’s in his first 63 starts on Tour, of which two were runner-up finishes, is not bad for a player who’s flying under the radar.